This is the story of The Family I Never Knew…my father’s family. This photo was left to me by my sister who passed away in 2010. 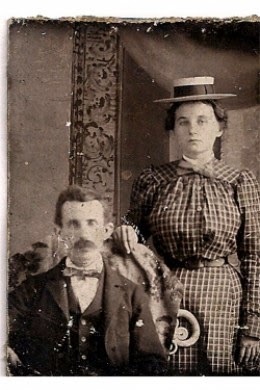 It shows my paternal grandparents, William Thomas and Lucinda Brown. 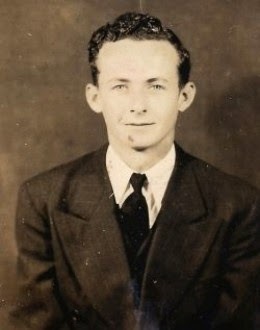 I never met Grandfather Brown, but my mother said he was always kind to her, but would not stand up to his wife. I met Grandmother Brown only once that I recall. My father, Thomas Melvin Brown, was a sickly, thin man who used that condition to manipulate his mother, who pampered him for it. When my mother married him she refused to do that. Momma expected him to work and make a living for the children they brought into the world. Harsh words passed between his protective mother and Momma. Thus began the breech in the family. It was a rift that would never heal. This explains our lack of knowledge of the family tree we sprang from. Lucinda spread gossip that I didn’t belong to my father, though she never explained how my mother had time to see another man, since she had seven children, a husband and a household to take care of. As the years of hardship passed, my parents divorced and went their separate ways. By that time Grandfather Brown had passed away, we had moved to another state and my grandmother lived far enough away that she never saw our family. I don’t really think it bothered her because she never cared to get to know us anyway and never tried to get in touch with us, even though she knew where we were. Oh, and to top it all off, I have my father’s blue eyes, and his slight build. I began to wonder about my father’s side of the family as I aged. I knew more about my step-father’s family than I did of those of my own blood. Oftentimes, I’d find myself wondering if my biological family had the same kinds of problems or the same kinds of health issues I did. Before my sister passed away, she was able to tell me a little, but she didn’t have a lot of information either. Until I received these photos after her death, I had no idea what my paternal grandparents looked like. These were photos that had been stored away for years, sifted down through many hands, and finally came to me. Only because of my sister’s careful notations was I able to realize who these people were. 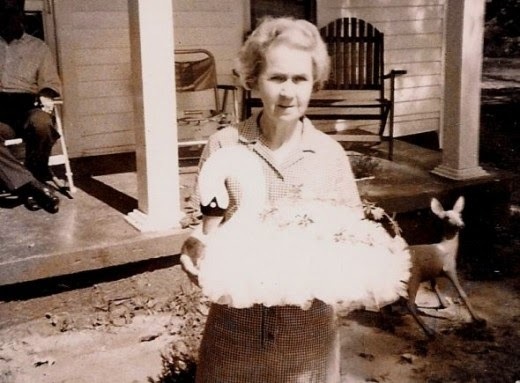 Only since I’ve aged has it occurred to me that perhaps my grandmother wasn’t such a tyrant after all. It’s possible that she was manipulated by my father’s weakness of character. My father was a coal miner in his young years with my mother, but he didn’t like the work. It was physically exhausting and he was a slightly built man with little taste for hard labor. One of the things he would do in order to get out of work was to go to his mother’s house after he left his and my mom’s home in the morning, and stay there all day being taken care of by his mother. When it came time for his shift to end at the mines, he would go the coal pile at his mom’s (everyone burned coal in those days) and black himself and his clothing, to appear that he had been at work in the mines all day. The only way my mother found this out was when she was refused to add groceries to their bill at the “company store.” She was told her husband hadn’t worked in months. Upon angrily confronting him with that fact, he finally confessed to his actions. His mother allowed him to do these things because he played on her need to baby him. This type of behavior is one of the things that eventually broke up the marriage between my mother and father. William Thomas and Lucinda Cowan Brown had eight children: including Thomas Melvin (my father) in 1902, Ettie Ezma in 1904, and boys, Carson and Carlon (birthdates unknown.) I briefly met Uncle Carson and Uncle Carlon, and Aunt Ettie, when I was young, but I don’t remember meeting any of the others. 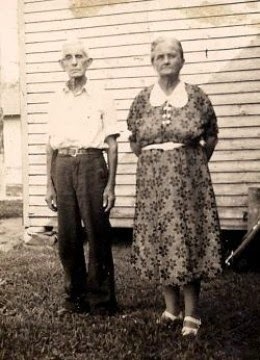 Aunt Ettie and Uncle Carson always were nice to me and my sister and brothers. If you are looking for the members of your family that came before, and you have little information on them, here are books that may help you know how and where to search. There’s also informational books about how to get through past hurts caused by family estrangements or interactions with your family, or the lack of them.